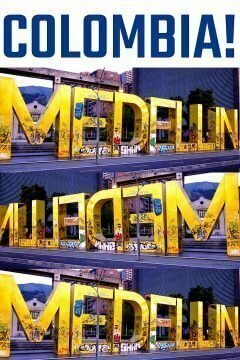 I love Medellin Colombia! It’s a wonderful location for solo female travelers. After an epic visit to Cartagena in springtime I booked a solo winter vacation back to Colombia. On Christmas day 2012 I took a morning flight from Bogota to Medellin after a sleepless night due to the hostel owner’s hosting their Navidad party. Inviting all their friends and turning the whole place into a nightclub until 6:00 am, complete with DJ. I crashed at 3:00 am. Taking a non-stop flight from Bogota to Medellin only takes about an hour. Maybe plan to check your carry-on bag if you have a standard 22″ x 14″ x 9″ carry-on luggage. The aircraft flying between Colombian cities tend to be smaller and the overhead bins are tiny. I highly recommend flying between cities in Colombia but if you are truly short on money and long on time you could take a bus. And spend 11 and half hours of your life sitting on a bus. Not my idea of fun. Plus if you watch for airfare deals it won’t cost much for the flight to Medellin. Think about it though, do you want to be traveling to Medellin alone on a bus or on a plane? As is often the case when traveling I was exhausted yet elated to be off to a new city. And not just any city. I was traveling alone to a place that had once been renowned as the most violent city of the world. Twenty years ago I would not have visited Medellin alone nor under any other circumstances. 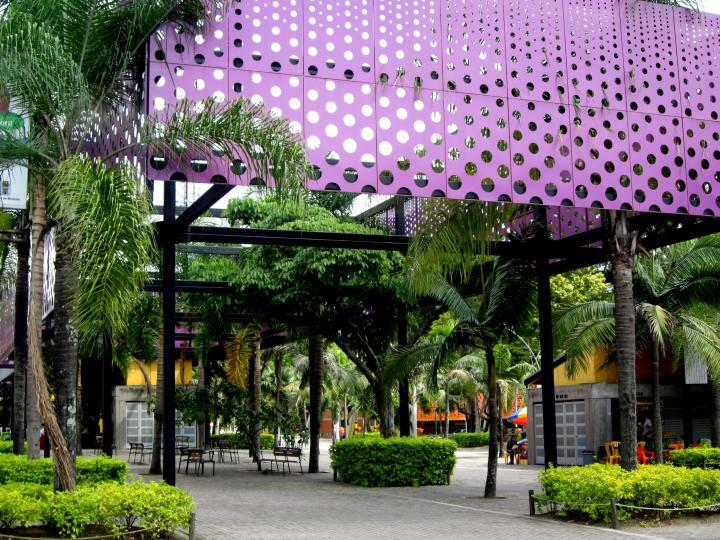 Now Medellin is a popular city for digital nomads with many coworking spaces available. This is great for solo travelers not only as a work space, but also to network with other remote workers. Most everyone has heard of the Medellin drug cartel but Pablo Escobar is long ago dead and buried. 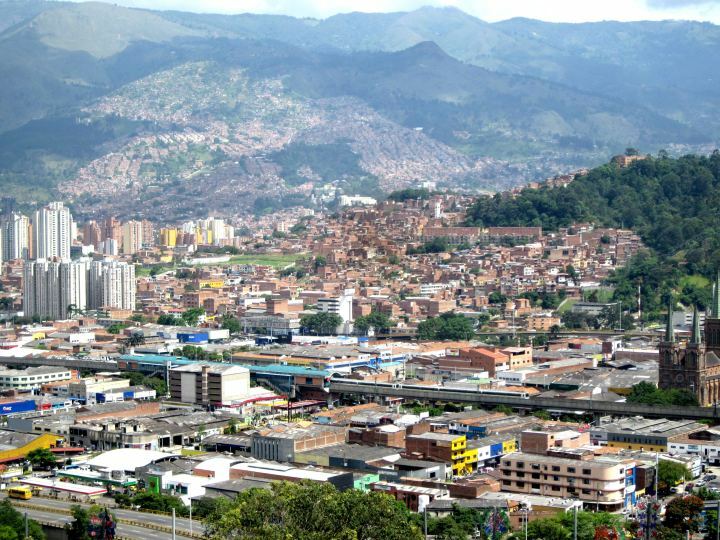 Quality of life for the people of Medellin began to improve immediately after his death in 1993. In the nineties Medellin was the murder capital of the world but in December 2012 I was going to spend a whole week in Medellin on my own. Medellin is a city reborn. Medellin is becoming a popular tourist attraction. While planning my solo trip to Colombia I decided to spend a whole week in Medellin. 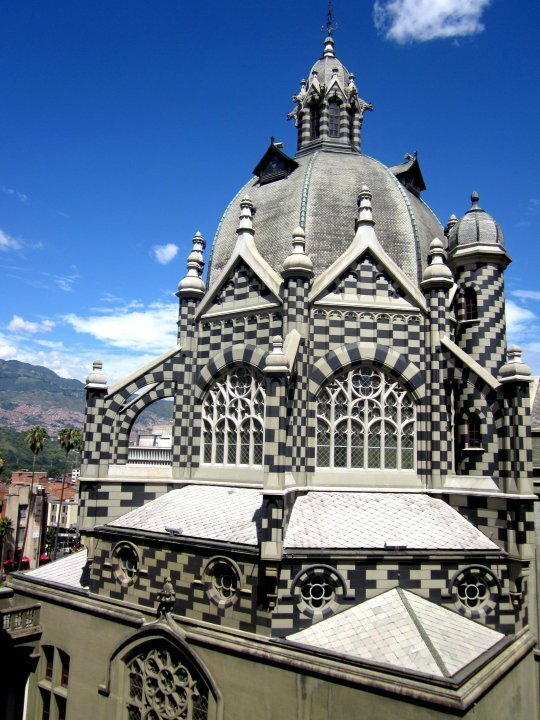 Even if you only have 2 or 3 days in Medellin you can see a lot of the best Medellin attractions such as Pueblito Paisa, Plaza Botero, and museums. Plus you’ll have a chance to sample a few Medellin restaurants and bars. 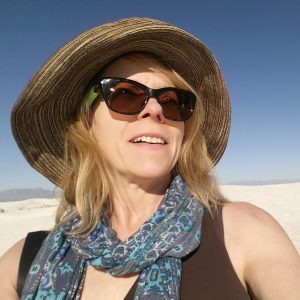 I wasn’t nervous about traveling to Medellin as a solo female traveler. Mainly because I had already read numerous reports from fellow travelers that it was a safe, clean, welcoming place. That is not to say that crime is non-existent, just use your smarts and be aware, don’t do stupid stuff that you would never do back home or in any big city. My previous 2-week solo trip to Cartagena, Colombia left me wanting to see more of the country due to the rich culture and especially due to the people I met in Cartagena, they welcomed me as a new friend. The longer you spend in one location the better you will get to know the culture and get to see more of the city. If you are trying to do some networking for your digital nomad gig then you will want to spend a few months in Medellin. On the other hand if you are on vacation I would recommend anywhere from 3 or 4 days to a week in Medellin. Medellin is located in the Aburrá valley nestled in the Andes Mountains at an elevation of 1,500 meters (4,921 feet) and enjoys a tropical rain-forest climate year round. I had been looking forward to leaving chilly Bogota for Medellin, known as the city of eternal spring. As the taxi rounded a bend and I first set eyes on the red tile rooftops scattered throughout the valley below I was immediately in love! Because it’s located in a valley the view while driving into Medellin is beautiful. My home for the week in Medellin was a private room at Yellowhouse hostel in the La Floresta neighborhood. Close to the metro, walking distance to the grocery store, ATMs, parks, shops and restaurants. Total cost for 6 nights (including breakfast) was COP$450,000 or around $250 in US dollars. My private room had a regular bed and a set of bunk beds which I used to store all my stuff. And I had four-legged friends Matias and Tomas to keep me company. They liked to sit out on my balcony during the day. 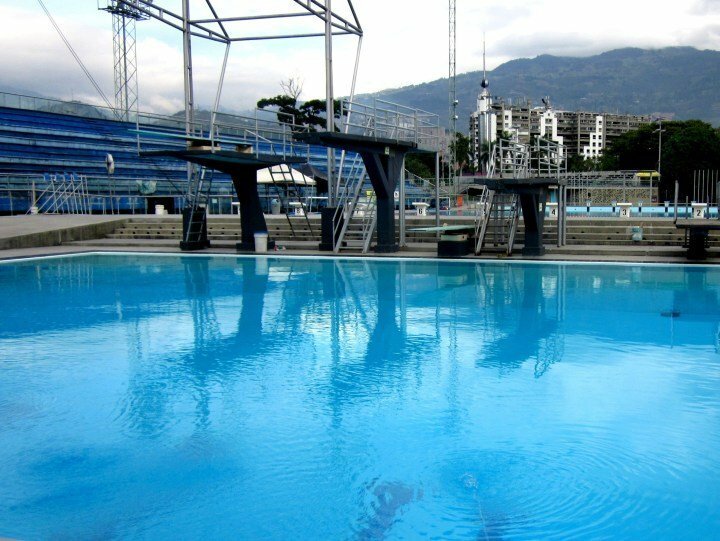 From Yellowhouse hostel it was just a short walk to the magnificent Atanasio Girardot Sports Complex which features several outdoor swimming pools including an Olympic size pool. I swam in the big diving pool during my first morning swim where a few people were practicing snorkeling and diving skills. The water was warm under a beautiful sunny sky. The second morning when I visited the pool I was the first into the diving pool but later noticed people were also using the Olympic size pool so I asked the attendant if I could use it too and she said yes. The water was freezing cold so I swam two full lengths and returned to my warmer diving pool. I think the freezing caused me to swim faster – just trying to stay warm! I enjoyed some fresh fruit at one of the ubiquitous fruit stands along the roadside and stopped at Empanadas Santiamen for a few tasty morsels over by the Estacion Floresta. Empanadas are one of my favorite foods in South America. Usually pork or beef with potatoes encased in a corn dough wrapper that is fried to heavenly crispy deliciousness. Did you know the word empanada is derived from the Spanish word empanar which means to bread or to stuff. Thousands of people visit Los Alumbrados along the Medellin River every night. Vendors set up dozens of food stalls along the route, others sell art work and various goods. My first visit to Los Alumbrados I went by myself via the subway getting off at the Industriales subway station by the Medellin River. The area was crowded with people, tourists and locals alike, enjoying the Christmas light display and snapping photos of each other. Taking the subway in Medellin is easy peasy even when traveling all by yourself. I got on at the Laureles stop and it wasn’t too packed with people. I practiced my Spanish a bit with a young girl and her dad. Colombians are friendly people so I struck up conversations often. Well actually, overall the same conversation over and over because of my limited vocabulary LOL. But still good practice. 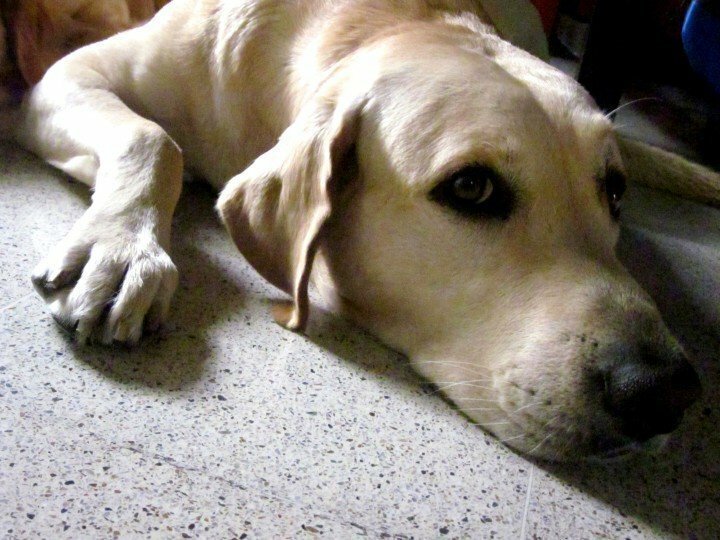 Necesito practicar mi español mucho más! I visited Alumbrados a second time on a Saturday evening with Gyuri, a young woman from Seoul South Korea who was staying at the same hostel. That’s one of the reasons I love to stay at hostels. Pretty much always meet some cool people. Gyuri and I took a taxi to the top of Cerro Nutibara to Pueblito Paisa COP$4 each. Pueblito Paisa is a mini version of a typical Antioquian town and offers an exceptional view of the city and a great vantage point for the Alumbrados. 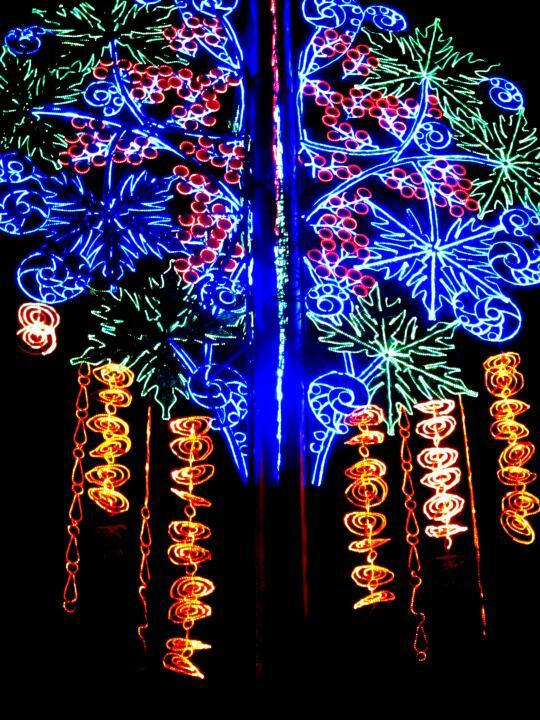 Afterwards we took another taxi back down to the Medellin River to take in a closer view of the Christmas lights. The female taxi driver dropped us off right in front of the beginning of the display. 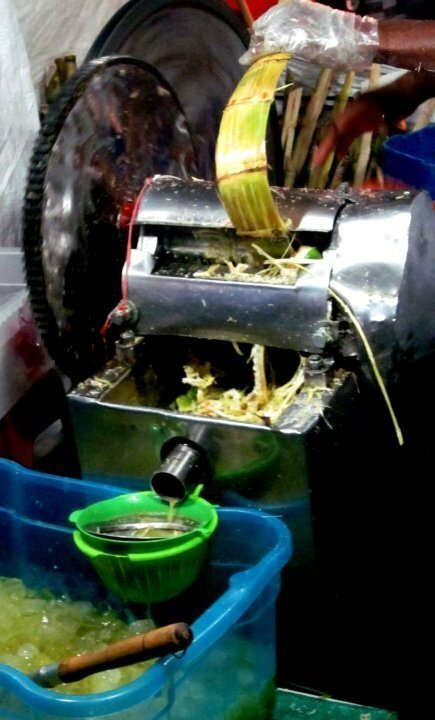 We walked around taking photos and tried some guarapo, a delicious mix of fresh sugar cane and lime which was refreshing and surprisingly not very sweet. I visited several art museums in Medellin including and previously wrote about the incredible Casa Museo Pedro Nel Gomez as well as two of the main attractions in central Medellin for tourists: Plaza Botero, and Museo de Antioquia which are located next to the Palace of Culture Rafael Uribe Uribe building, a striking black and white structure. You can walk up to the 4th floor of the Palace of Culture for a marvelous view of Plaza Botero and Hotel Nutibara. Note that if you try to walk into the Hotel Nutibara dressed like a chick who stays at a hostel, dressed in shorts and a casual top and walking sandals, they won’t even let you INTO the lobby! LOL at least that is my experience. In search of post cards, I asked the doorman to let me check the hotel gift shop. Nope. I tried pleading, in Spanglish. No dice. So dress in business attire if you want to get into Hotel Nutibara. Generally in South America I find the people dress up much more than in the US. The Modern Art Museum is a small art gallery located near pricey El Poblado neighborhood which is popular with gringo expats. 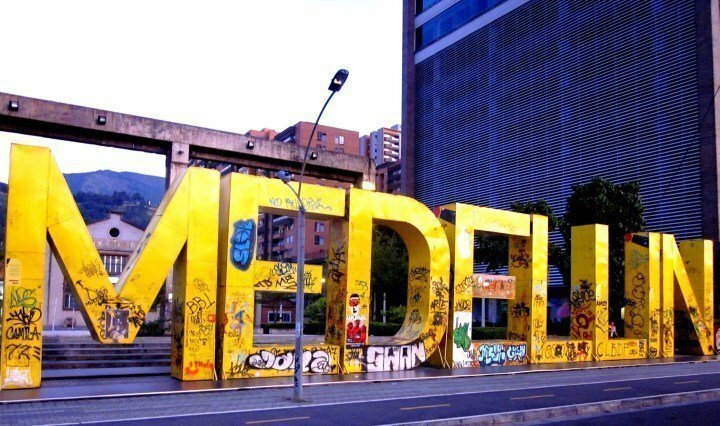 The giant letters spell out ‘Te Quiero Medellin’ (meaning I Love You Medellin) can be seen from several blocks away. The letters were painted yellow when I was in Medellin but they will have a new coat of paint now. I have seen older photos of the letters in red. Maybe they stick with the colors of the Colombian flag which are red, yellow, and blue. Next door to the Museo de Arte Moderno Medellin is the fabulous restaurant Bonuar where I lunched after visiting the museum. 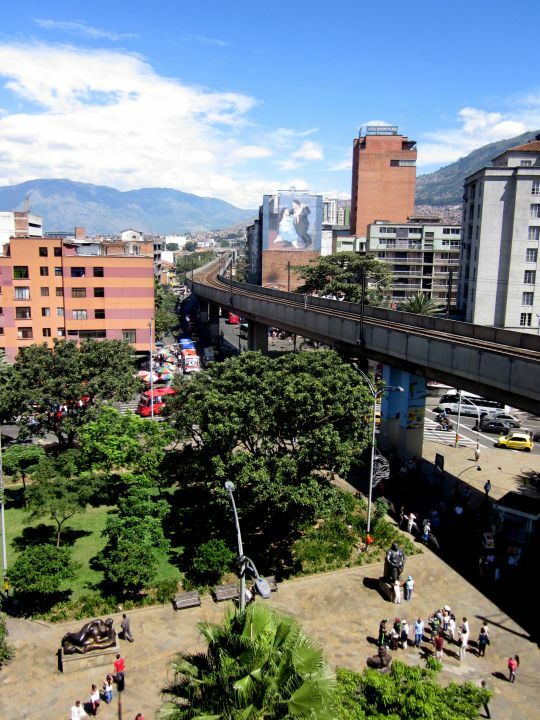 You can sit outside to enjoy the beautiful weather that is common in Medellin. I tried the shrimp salad paired with a Mojito – the strongest Mojito I have ever tasted! 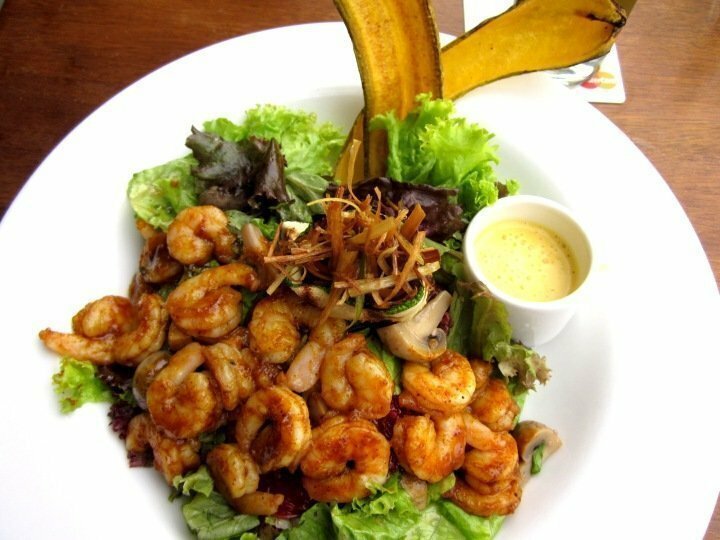 Shrimp salad at Bonuar restaurant – delicious! Hoping for something tasty in chocolate, I allowed room for dessert. 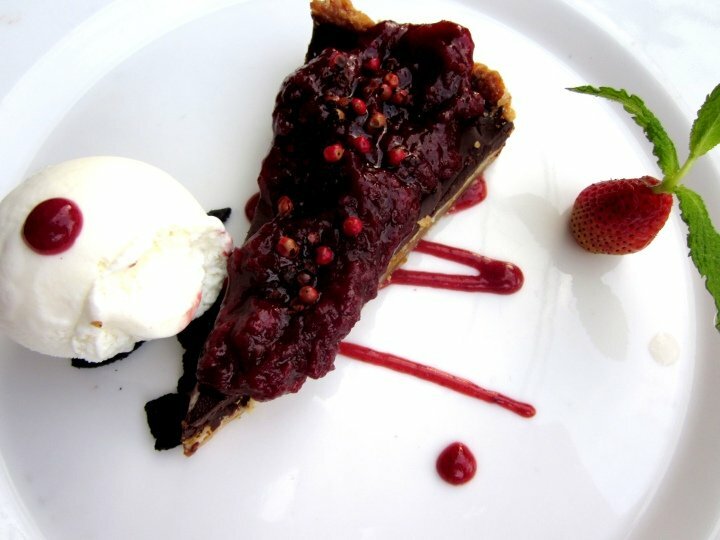 I was rewarded with the extraordinarily divine semi-sweet chocolate cake with strawberries and blackberries. Medellin is one of my favorite cities in the world for solo travel – which city do you love? LOVE it!? Save on Pinterest and share with friends! you are a brave lady! I often travel alone to Australia, but then there is family waiting for me. It’s true I also meet nice people on the plane, but not always. Thanks for your post, which is very interesting. Thanks Wil, glad you stopped by. Everything always seems to work out just fine for me when I travel alone. There are pros and cons to solo travel as well as traveling with someone else. My worst travel experiences have always been when I travel with other people – you really get to know someone when you travel with them! what a wonderful experience. there is that rush of something that comes when one steps into a new land and the promise of exploration hung heavy in the air. i love that feeling. Exactly!! I love the way you expressed it! What a fantastic trip and adventure! love the Heliconia flower, simply stunning! I think a lot of people make the same association. I would go back in a heartbeat! I want to explore more of Colombia, it is one of the most ecologically diverse regions on the planet. Such an interesting post. I too am a keen traveller, but I doubt if I’ll ever make it to South America. Thanks for sharing. I do hope you get to South America! Enjoy your travels wherever you go!! Haven’t been to Medellin in almost 40 years. Based on your write-up, I can see it is time to go again. Medellin must have changed a great deal in the nearly 40 years since you were there – it would be interesting for you to revisit. If you do go back to Medellin I hope you enjoy it as much as I did. Oh I am glad you are interested in learning more about Medellin! And it’s probably good that you had never heard of it otherwise your opinion might already be formed – it’s a city that I plan to visit again. I hope you may one day visit Medellin as well.